Ecologistas en Accion has filed a complaint alleging that El Pinar is dumping raw sewage into the campo, with untreated waste entering an old mine nearby. El Pinar de Bedar consists of around 100 large villas. Due to its location, it was impossible to connect the urbanisation to the treatment plant of Bedar, and so a small collection unit was installed. According to the complaint, this has since broken and the water is being dumped into a nearby river bed. A second pipeline is believed to have been connected to a chamber in an old underground mine. Bedar Mayor Angel Collado denied there was a problem, saying that it all went to a deposit that was emptied regularly, and that the promoter of the build was in charge of ensuring it was emptied regularly. A representative from the environmental ministry said that an inspector would be follow up on the complaint and verify that the urbanisation was complying with regulations. A spokesman said that although the use of a deposit was “not the most orthodox of solutions” there would be no problem if no dumping was taking place and that it was the responsibility of the council to ensure the system was working properly. Sewage collection is the responsibility of the council although Bedar has contracted this out to water company GALASA. Although the urbanisation manages its own sewage disposal, residents complain of having to pay for sewage collection on their water bills from GALASA, a service they do not appear to be receiving. 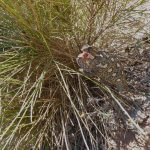 This entry was posted in Blog and tagged bedar, el pinar, sewage, treatment by David. Bookmark the permalink.